When it comes to geographically based search engine optimization (SEO) efforts, many people make the mistake of doing a shotgun strategy that greatly dilutes the effectiveness of their online marketing by not properly targeting the most likely market. Small businesses in particular need to focus much of their online marketing efforts for local communities rather than reaching out for a national base of consumers. Certainly, grabbing a share of national markets can help, but most small businesses and many larger ones have the majority of their customers and clients coming from local communities, particularly when the business sells goods and services that are difficult to provide over longer distances. When business owners and marketers create listings for their businesses on Google Places, they must provide thorough information on their location and the communities they serve. That enables local residents who are interested in the goods or services provided to better locate a business and avail themselves of the goods and services offered by that business. 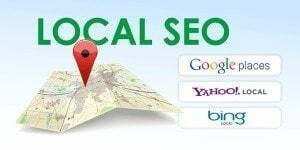 Google Places listing information should include very exact information on the business address, phone number, email address, website link and other contact information to help people better locate a business. Choosing the right business categories also will help to refine search results, but even that is not enough. Local businesses must make use of Yelp and similar sites that allow people to make comments about the business and give locals a better idea of the quality of goods or services provided. Especially when faced with a great deal of local competition, supporting citations for a local business will help to drive more traffic to websites and, ultimately, to those businesses. Search engines also rank websites higher when they have significant citations from consumers, which helps to ensure Google, Bing and other search engines that a website belongs to a legitimate business and not a Spam or affiliate-marketing site. Does your business make full use of online listings to boost its local market share?